There are a few ways to invest in property. You can invest money in a professional investor fund, where a fund manager will manage your investments. Then at the year end, you get a cut and the investment banker gets a cut of the profits if any. These investment “pools” are targeted towards those investors who do not want to deal with tangible property. Then there is the direct investment, buying your own property. Now, these 10 simple tips will help you spot your needs and take a decision. It might sound like absurd, but the truth is that motivation to save, invest and take a risk, is the highest when we are young and gradually fades with the time. Start thinking about investing in property when you are single, working and do not have any responsibility of a family. Starting young opens so many doors and creates so many opportunities in front of you that you will never get in old age. 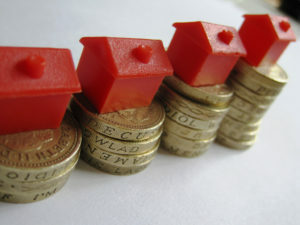 Make efforts to find out the properties that are still at dirt cheap prices compared to other real estates. Ah! Sadly around 90% of us take twice the loan from the bank if there are two earning members in a house. You and your spouse think that it is only feasible to buy a big house, take a loan on both the incomes and it will be paid anyway. Do you really need that house? You are just a beginner when it comes to investment in the property but already got yourself a fancy house. Now, you have a huge debt burden that should be paid regularly and no idea of what the purpose is of that big house. There is a thin line between investing in a right kind of property and taking a loss on your real estate investment. Soon, you realize that there are no basic amenities in the vicinity, thus increasing the cost of your house because now you will add travel cost as well. In the time when the rates are so low, you can only expect it to rise in the future. Therefore, to save yourself from paying higher in the future, go for fixed mortgage loans, interest, which can be paid easily. You have bought a Duplex thinking that space can be used when you start your family. However, as of now just one room is required. What are you going to do with all that empty space in the house for which the interest will go to the bank regularly? You can give extra rooms on rent to young professionals or students. This will help you in paying your interest, as well as, maintaining the property. There are properties that will become a burden more than an investment because you need to do a lot of work to maintain and manage such property. This will be like incurring extra cost. So, go for the property that does not require high maintenance, even if you get it for a higher price compared to the high maintenance one. It is a tough task to identify a location, which would become the hottest spot of the city 5-6 years from now. Therefore, do your research and take a time to find out the facilities and amenities that are going to surround the area where you are planning to invest. If you are single and do not have plans to start a family anytime soon, then buying a commercial property is a far better idea than buying a house. You should be focussed on generating profit from your investment in the early stage of life. Properties are known to enhance investment value overtime, but it is not right with all the properties that you buy. The growth rate of one piece of land might be more than the other, and therefore, make sure that you are buying the property after doing all the maths. Ann Bugeja is a notary and content writer at Sotheby’s realty real estate. She is an avid traveler and on her free time, she helps young adults in their twenties get a better understanding of budgeting, investing and money. There is a thin line between investing in a right kind of property and taking a loss on your real estate investment. Real Estate investment is not just about buying a home to live with family. This entry was posted in Real Estate Investing and tagged Invest, Invest in Property, invest in real estate, Investing in Property, Investing in Real Estate, Property, Property Investing, Property Investment, Real Estate, Real Estate Investment. Bookmark the permalink.